I just had to share this pattern with you crocheters out there. 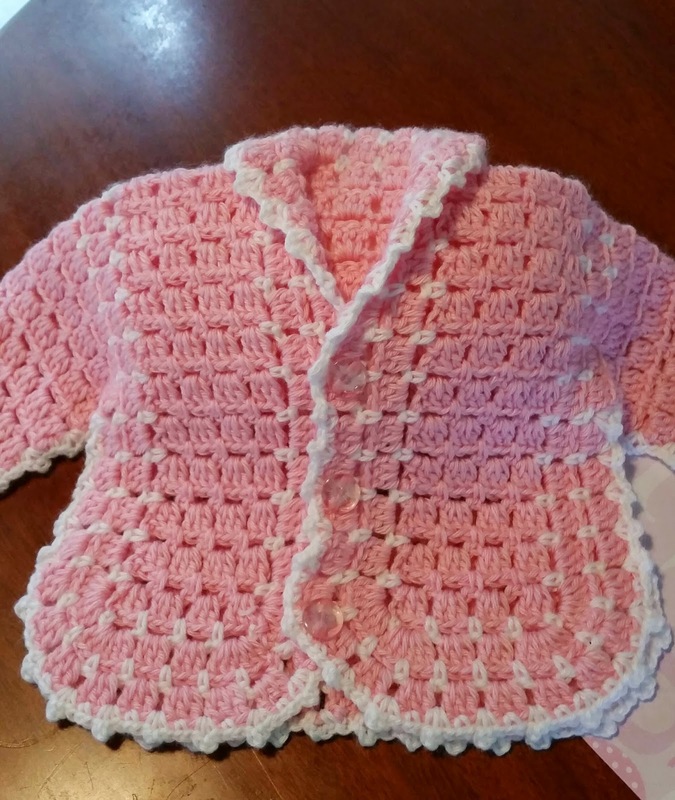 I was looking for a baby jacket to crochet for a friend's new baby daughter and I went searching on YouTube. I was looking for something different to what I have done before, and came across this video by Yolanda. Though not her original pattern. It was written by someone else but in a different language. Yolanda sought permission to translate it into English and has done a great job. I think you will agree with me how cute it looks. And above all it is sooooo easy to do. No kidding. It must be the easiest stitch and pattern to follow. You have to try it to believe me. If you look closely the joining up is done on the good side with a simple picot stitch all around the edges. The only thing I have done differently is to sew buttons on the front instead of ribbon. Just a personal choice. I urge you to look into her different videos. There are many. You will come across a hat/bonnet to go with the jacket. 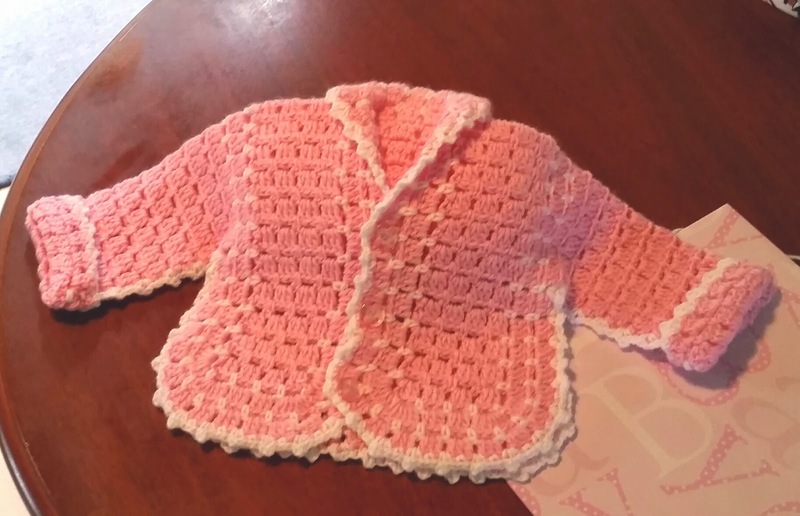 I will be crocheting it soon as time permits. If you like this posting please like, share by clicking on the buttons below.